The theme for this month’s CBBH Photo Challenge is CURVES IN NATURE. Curved shapes in nature are all around us – animals and birds, trees and flowers, mountains, seas and skies. Show me what you see. Be creative. Just be sure it’s a natural curve rather than man-made. OOHHH …. and, have fun with it! Don’t forget that the CBBH Photo Challenge is a little different from some other challenges, in two ways. First, it’s only once a month – giving you lots of time to consider your entry before the end of the calendar month. 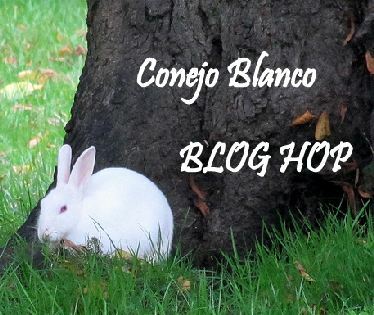 Second, and most important, this is a BLOG HOP (after all, it is the CBBH – Conejo Blanco Blog Hop, meaning white rabbit in Spanish), so DON’T FORGET that in your post you need to add links to two blogs that you have visited and commented on during the past month. 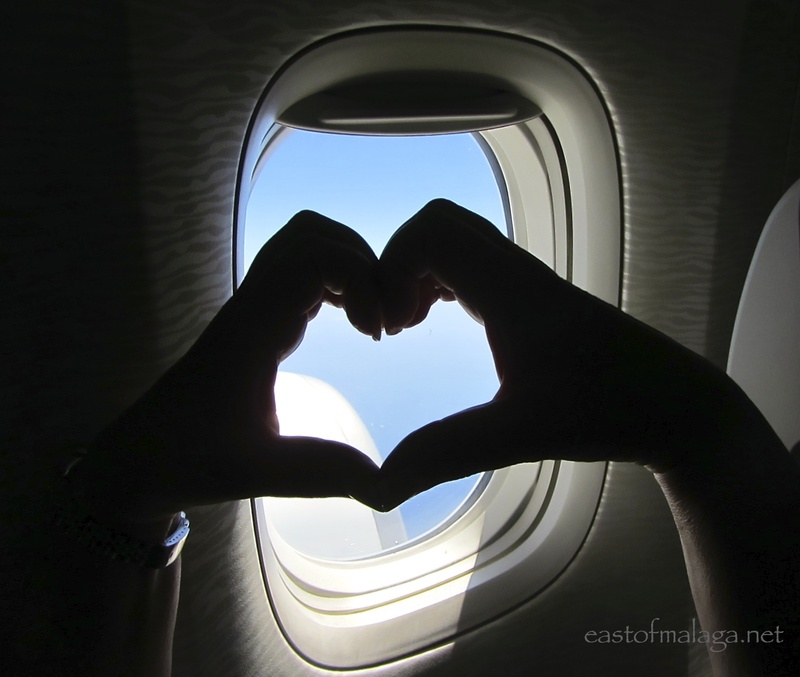 That way, when we visit each other, we can HOP OVER to your links, connect with others and share a little blog love around! My CURVES IN NATURE come to you from New Zealand, where I was fortunate to spend seven glorious weeks during January and February 2013. Without doubt, New Zealand is one of my favourite countries in the world. Right at the top of the North Island is Cape Reinga (or Te Rerenga Wairua in Maori), one of the most significant sites in New Zealand. For Maori people, this is where a person’s spirit comes after death and departs for their eternal home. The rocky point jutting out to sea is Te Reinga and, according to Maori legend, the place where the spirits of the newly departed enter the underworld. 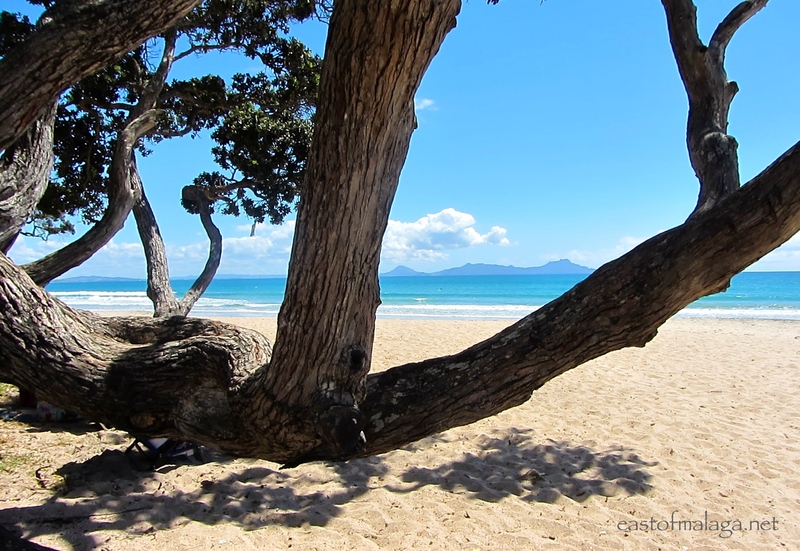 Clinging to the rock, there is an ancient kahika tree, named Te Aroha. The spirits descend to the water on steps formed by the tree’s roots and then continue their journey to Hawaiki, the spiritual homeland. What a lovely idea – I like that, very much. Te Rerenga Wairua also marks the point where the Tasman Sea collides with the Pacific Ocean, and often this division can be clearly seen in the colour and turbulence of the water. The Northland region is renowned for its beautiful beaches, secluded bays and accessible islands. We found Langs Beach to be the ultimate destination for simple relaxation. Gorgeous, isn’t it? 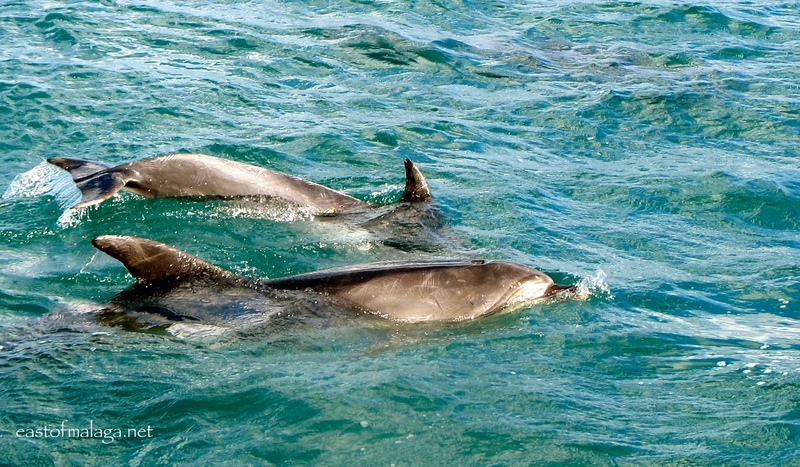 These dolphins were just two of many surrounding our boat during a tour of the Bay of Islands. They loved showing off, playing and jumping in the wake of the boat. I have very happy memories of this day. 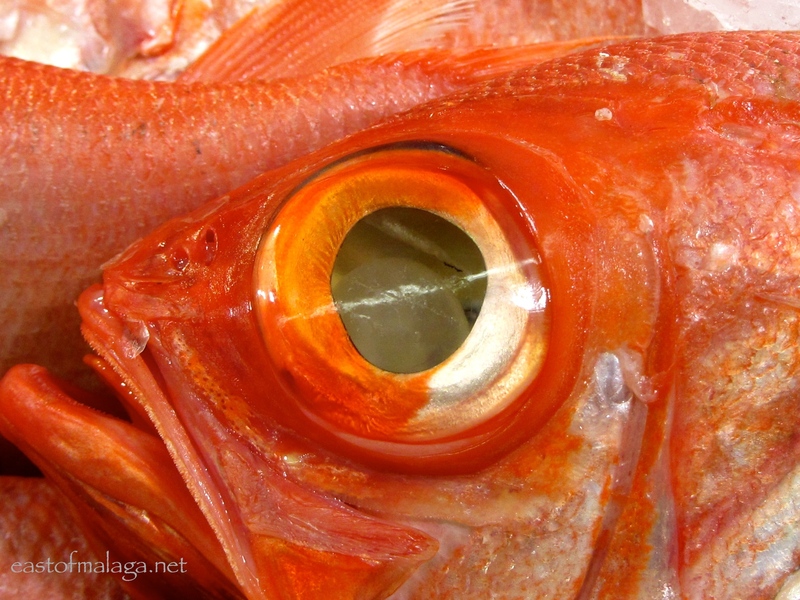 What do you make of this big-eyed Alfonsino fish displayed on crushed ice in the Fish Market in the up-and-coming trendy Wynyard Quarter on the Auckland waterfront? Mount Maunganui is a dormant volcanic cone and focal point of the coastal Bay of Plenty. 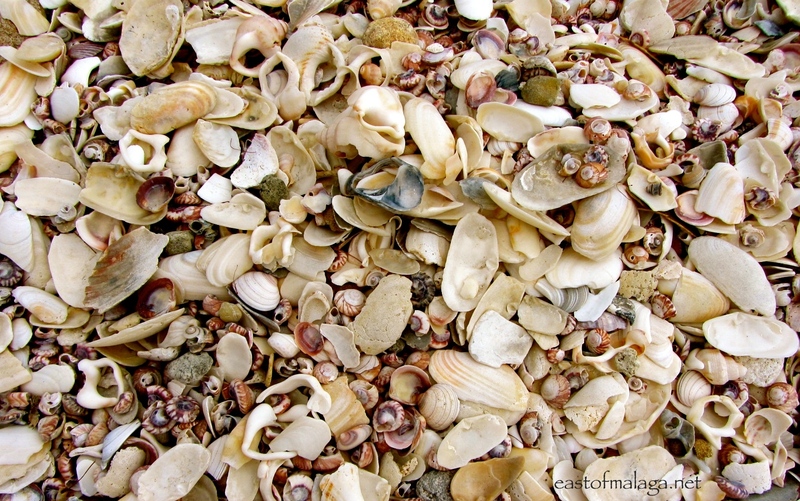 As we followed the walking track around the base of the cone we came across a small bay and instead of sand, the surface was made entirely of multi-coloured shells. The Sunday morning Hawke’s Bay Farmers’ market at Hastings was a real treat and this was where I bought some delicious cheeses and tasty bread for our picnic later in the day. It was a glorious day and at one point I took shelter from the heat of the sun beneath this wonderful old tree. 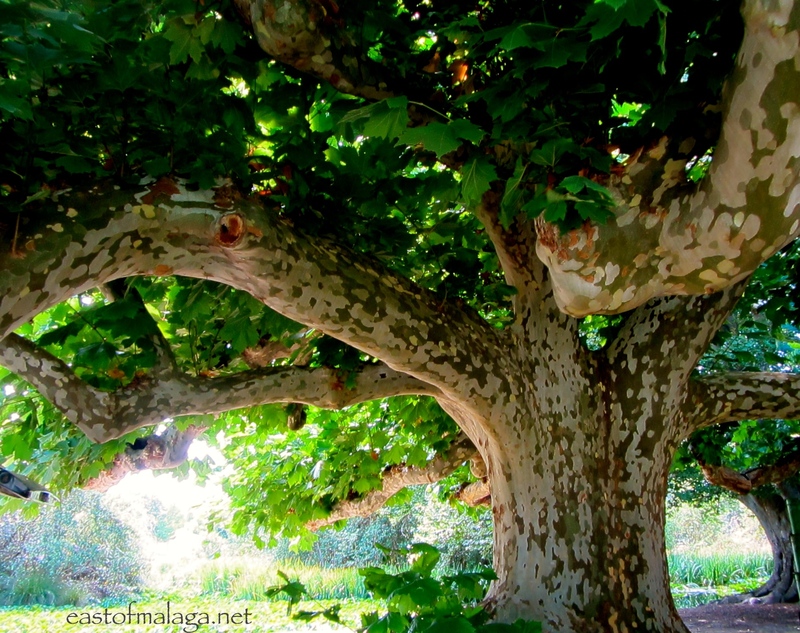 It had such a great shape with a mottled trunk and branches. I wonder how many years it has stood there? How many countries have you visited? If I asked you to name one favourite – which would it be? *** Molly at Piccavey.com is a British expat blogger, living and writing about her adopted home city of Granada in Andalucía, Spain. Many people are familiar with the Alhambra Palace or the free tapas on offer in Granada, but Molly offers practical information that you may not read in tourist guide books – from the perspective of someone who actually lives there. If you are considering a visit to Granada, follow Molly’s advice if you want to buy tickets to see the Alhambra, discover the difference between pintxos, tapas and raciones or find out the main festivites and most popular dates in Granada’s annual calendar. *** The Scribbler in Seville is a journalist, translator, teacher, wife and mother living in southern Spain. Fiona writes with a passion about her home city of Seville as well as about Andalucia as a whole. She recently told us about the olive oil producing region of Jaen, the fabulous ceramic tiles to be found around Seville and a gourmet hiking adventure aboard Mr Henderson’s Railway in the heart of Andalucía (parts of which were featured on a UK TV programme by Michael Portillo called Great Continental Railway journeys). So that´s the CBBH Photo Challenge for December, guys! This entry was tagged CBBH, CBBH Photo Challenge, curves, New Zealand, photography, travel. Bookmark the permalink. What wonderful photos you have shared with us from your travels, Amy. I had no idea there were so many arches in Utah … wow! It looks heavenly, Marianne 🙂 Happy December! Wonderful photos Marianne and that’s quite some travelling! Great challenge theme! Especially love these trees. Thanks Amy – yeah, great trees! Thanks very much for the mention, Marianne. I will start trawling through my photo archives for Curves in Nature – great theme! 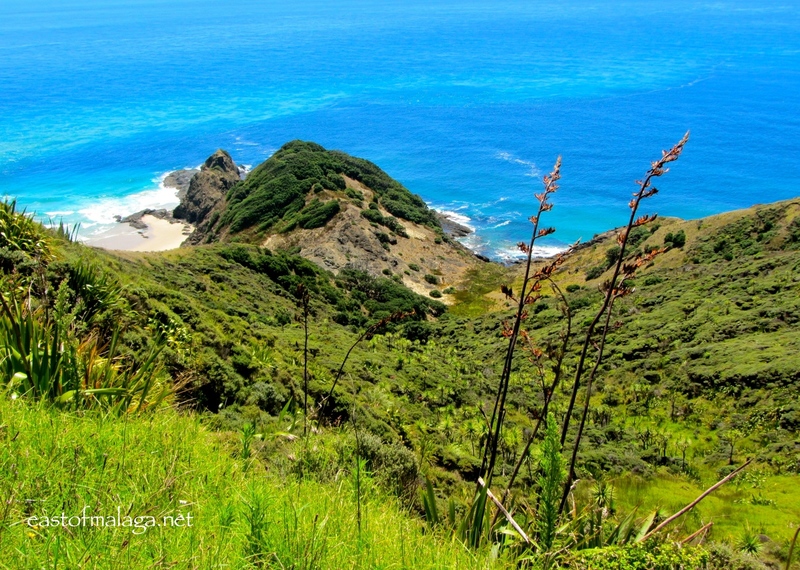 Love your photos of New Zealand, especially the fascinating Cape Reinga. You are most welcome, Fiona. It’s always a pleasure to give a shout out to others who blog about Andalucia. Fantastic pictures as always. The old tree was a real delight and looked more like a watercolour painting.